This entry was posted in tap water and tagged drinking water, safe drinking water, San Diego, san diego tap water, tap water on November 25, 2016 by . Whether you’re visiting from another country or moving to San Diego permanently, you’ll likely have a ton of questions about the area. What are the best restaurants? Are there good schools for my kids to attend? Does it ever drop below 65 degrees? How much does it cost to get into the San Diego zoo, and how far is it from Disneyland? But there’s another question we think you should add to your list: is San Diego tap water safe? While San Diego is fortunate enough to be in a country that has safe drinking water (if you are fond of international travel, you should bookmark the traveler’s guide to tap water), that doesn’t guarantee that it is perfect (or great tasting). In fact, in 2011, San Diego was rated by 24/7 Wall St. among the 10 U.S. cities with the worst drinking water. As a resident of San Diego, this isn’t something you’d like to hear. But knowing this, why exactly does San Diego’s water supply taste so bad? And what can we do about it? What’s in San Diego’s Water Supply? Having safe drinking water doesn’t guarantee that all water tastes the same. Pure drinking water is odorless and tasteless, but tap water does have a taste due to the added minerals. Fluoride, chlorine, chloramine, salt – any or all of these substances can be present in our drinking water. So what is it that makes San Diego tap water taste so awful? According to a recent report by the California Department of Public Health, there were 8 chemicals present in San Diego’s tap water that exceeded healthy limits – and 2 that exceeded the EPA’s limits. Among these chemicals were manganese and trihalomethane. Every year, the City of San Diego publishes an annual water quality report, detailing the results of their tests on the city’s tap water supply. For the most up to date information, check the reports published on this official website. Yes, you can drink San Diego’s tap water (you can thank backflow preventers for that.) Whether or not you’ll think it’s tasty, however, is another issue altogether. Many residents of San Diego complain about how awful the water tastes, often sharing stories of newcomers who foolishly drank the tap water only to complain about its flavor. So while San Diego tap water is safe to drink, it’s not tasty. We recommend that everyone filter their water in order to get optimum flavor. What is San Diego doing to improve the tap water? The city of San Diego isn’t blind to the fact that many of its residents find the tap water horrible. Currently, San Diego is piloting a purification project to see if they can provider cleaner water than ever before. Stay tuned for more information as the project unfolds and, hopefully, gets approval by the California Water Resources Control Board and other groups. How Can You Make Your Water Taste Better in San Diego? So you know that San Diego tap water tastes atrocious – but what can you do about it? This is perhaps the easiest solution, but not necessarily the wisest. Sure, you get the benefit of having good tasting, pure drinking water wherever you need it. But if you’re drinking as much water as you should be each day, then you’re going through hundreds of plastic water bottles at the end of the month. For the environmentally conscious, this isn’t a viable option. 2. Get a Brita filter. Many San Diego residents opt for a Brita filter (or other similar product) to solve their tap water issues. While it does take some upkeep to remember to refill the pitcher and replace the filters as needed, it still guarantees good tasting drinking water without all the extra plastic bottles. 3. Install an in-home water filtration system. We recommend this option for commercial institutions and for individuals whose health conditions require them to have the purest levels of drinking water in the home. While the systems can be expensive up front, once installed, they last for years and only require regular filter replacement. 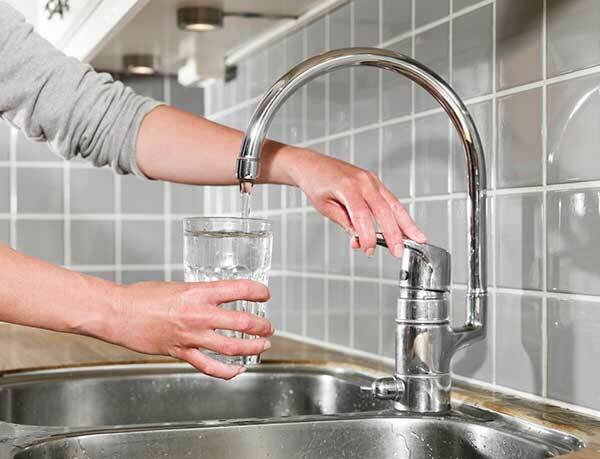 For water filtration installation in San Diego, call My Plumber CA to discuss your options and take a step toward purer at-home drinking water.